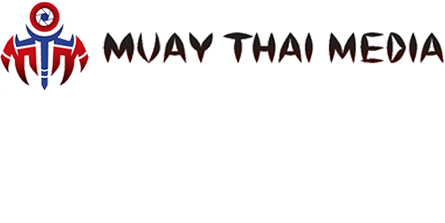 Muay Thai Media was created to recognize the art of Muay Thai and the amazing people that practice this great art. We wanted to give Muay Thai Warriors the respect that they deserve for their discipline, hard work and enduring perseverance. The true Muay Thai warrior is humble, kind and has no ego. The Muay Thai Warrior inspires those of us that fight the fight every day in this sometimes difficult world. We never ever ever ever ever give up!! We may get knocked down but we get right back up and we conquer life whether it be our opponent in the ring or the hardships that life throws at us. That is the true heart and soul of the Muay Thai Warrior! We at Muay Thai Media honor and respect you! Keep on fighting! Special thanks to Ben Mehdi of BCMMA who helped to create this awesome site for my Muay Thai family to enjoy and to Criscarlo "Maverick" Chua who has helped me edit interview and fight video for all the awesome warriors I meet. I also want to thank Gerry Gionco (Gionco International), Manny Sobral (Westcoast Promotions), Sammy Piccolo, Nadine Spuls and Ben Mehdi (Quest for Glory), Jay Golshani (Battlefield) and of course Master Song (Muay Thai Kai Singthong) and Joel Wasel (Dynamic MMA) for all the hard work in putting on these fight cards and for the press passes that allow us to come and interview and film the fighters so that we could create this online community. Hi, I’m Timea Klemp, (formerly Timea Carlsen) CEO and founder of Muay Thai Media and this is my story. I used to train as a boxer in Toronto under the guidance of Egerton Marcus, who won the Middleweight Silver Medal representing Canada at the 1988 Olympics in Seoul, South Korea. Egerton went on to be the sparring partner for Lennox Lewis. Egerton changed my life! Egerton never knew this but I was a victim of abuse and he transformed me from victim to a victor! I entered myself in a fight when Egerton went out of town with Lennox to film the movie Oceans 11. I never should have entered (this is where I learned humility). I was not physically prepared and I got injured. My shoulder would never be the same again. I had to stop fighting. I took up motorcycle riding as my new thrill as well as bouncing at night clubs to add to my danger repertoire. I was always missing that piece of me, that made me the warrior queen I am today. I was missing the fight training! Years later, Michael The Blacksniper McDonald rekindled my love of fighting. He introduced me to K1 and inspired and supported me through some of the toughest years of my life. I love you my brother! After many tough years of being a single mom to two awesome kids, financial hardships, stock market ups and downs that affected my work and 2 people that I knew taking their own lives, I needed to get away. My kids were now grown and encouraged me to start living my life for me! Jacqui and Taylor, you are my heart! I love you. So off I went to Thailand. Michael suggested that I go see a Muay Thai fight. I fell madly in love with Muay Thai, the tradition, the respect, the humility of the fighters. I joined a Muay Thai camp in Koh Samui: Samui Superpro. It was the best week of my life. I met beautiful people, trained hard and felt an incredible sense of community. Through my time in Thailand, I met Canadian fighters like Jeff Sharkey, Maria Bastasin, Will Romero, Denis Puric, Shane Shaolin Campbell, Claude Patrick, their inspiring trainer Alin Halmagean (Iron Tiger Muay Thai in Hamilton, Ontario). I have also either met or have spoken with many incredible fighters throughout the world: Kevin "The Soul Assassin" Ross, John Wayne Parr (these are world class fighters but still manage to remain kind and humble). I want to thank the awesome trainers and staff at Superpro Samui for kickstarting my Muay Thai journey. I came back to Canada after my experience in Thailand and wanted to continue with Muay Thai. I have met some incredible people that I have trained with and have inspired me: Rico Brinson, Kajan Johnson, Tony Bailey (my brother, family and wolfpack), Frank Mensah, and Tim Kenny (aka Timbo Slice). Although not all are Muay Thai fighters, they are true warriors that are my true friends, and my inspiration, and have taught me how to never give up the fight: I consider you all my warrior family. God Bless the trainers that I have visited like Judd Skinner at New Era, Jason Fenton at Iron City Muay Thai, Sal Snickerz at Clinch, Faraaz Taiyab at Neuroline, Adrian Avelino Gomez of Advantage Fitness, Kru Williams and Tony Strong at Stand Up Muay Thai, Jimie Griffiths and James Hanson at Bad Boy Outreach, and the many more I am sure I will be privileged to train with on my Muay Thai journey. Never stop teaching and encouraging the Muay Thai Warriors of tomorrow! I would tell people I was going to Muay Thai and they would say "What? You are going for Mai Tai's?" Muay Thai did not have the recognition that MMA had and I believed that it deserved that recognition. After becoming quite sick and having multiple surgeries, my body wasn’t able to continue with Muay Thai but I still had the passion for it, in my heart. I was inspired by the fighters, the instructors, the sport and by Breanna Armstrong of Koast Kombat to start my own website, film fights, interview fighters and give Muay Thai in Canada, North America and Internationally the recognition that it so deeply deserves. I am honored to meet the most beautiful, humble and kind warriors in this Muay Thai community. I love you all and you have made my life a richer place to live! This website is my way of giving back to the Muay Thai community. OSU!!!!!! !